This is our favorite time of the year when we bring you the new trend paint colors. 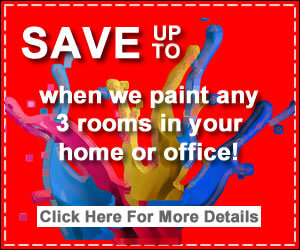 One of the easiest ways to bring trend into your home is to use paint. This year we have two types of trend colors: the bolds and the neutrals. This year we are using the bolds as neutrals and this blue is a perfect example. Dark and moody, this color is perfect with a creamy white trim from Behr. Match it with a natural oiled oak floor with a chevron pattern and your have a gorgeous look. Add some amber accents and the feel is very Moroccan. This year is Latin America’s big moment and Flamenco Red is the perfect color. Use Flamenco as a backdrop and add some edgy accents. Pair it with a pale, cream trim from Behr and a light pine floor. Add a hit of color with a small turquoise box, a few hints of black, and some wovens for texture. This is probably my favorite of the bolds. Use red as an accent and pair with distressed plank floors to make it all appear young and fresh. If you want a different look, throw in some hits of black or classic Moroccan colors of teal and orange and then bring in a touch of burlap. Wet Rock is this year’s gray and it is a bit muted than other year’s. It is perfect for a monochromatic palette created using service applied moldings on the walls. Step the color using various shades of gray in linens and wall coverings. Bring in a hit of mauve or taupe and you have the feel of a vintage oil painting. This color feels very British, sort of dusty and moody. It is a very acidic color and goes well with hits of taupe, crushed velvet, and brass. Add some sea grass and wooden candlesticks and the feel is slightly feminine but very artistic. The new white is Artisan White and it is very warm, almost old-worldly. It reminds one of white speckled walls found in old buildings Use this color in a room with stone floors, very dark wood furniture. Add some whitish furs and hits of brass or gold and the look is edgy and trendy. We’re calling this color young, girly and hipster. It is very urban and cool. Pull it together with accents of blue, deep pink, and jade and round it off with a hit of charcoal gray. This color is perfect for clean, contemporary architecture. Pair it with distressed white oak and hits of natural clear pine. Add white metal and some dark green accents. Very retro. This is a soft color, very easy to use and perfect for a kitchen. Pair it with a stone counter and white subway tile for the backsplash. Add gold or brass hardware for a very trendy look. These are the trend colors for 2015. Remember, it is all about how you use the colors and what you pair them with.